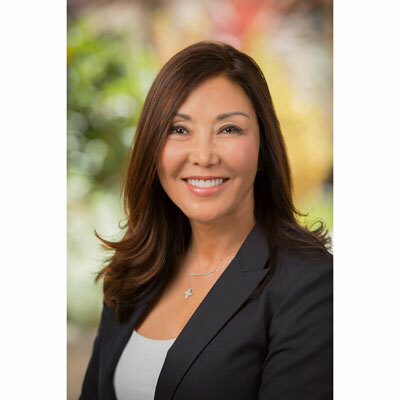 Leslie Tom is Senior Vice President of AppExchange Marketing & Programs at Salesforce. She leads customer, partner and community marketing for AppExchange - the #1 enterprise cloud marketplace - and owns the AppExchange partner program and partner enablement. Leslie also leads Salesforce Accelerate - a virtual fast track on boarding program for AppExchange apps. Leslie's focus is to recruit ISV partners to build, connect or integrate their solution on the Salesforce Platform and list on the AppExchange, enable all partners for joint success, market AppExchange apps and solutions to Salesforce customers and engage the partner and customer community. Prior to joining Salesforce in 2005, Leslie worked in marketing leadership roles for 10+ years at Siebel Systems and Oracle. Leslie holds a double major in Business and Psychology from San Jose State University. 2017 was a year of massive growth and change to accelerate the AppExchange and the ISV channel business. In May 2017, I launched the new AppExchange Partner Program for our ISV partners. The new AppExchange Partner Program included lower baseline pricing, new partner designations, new AppExchange Trailblazer Scorecard - a holistic view for partner's to view and improve their business with Salesforce - and new program and technology tools. With the launch of the new program, our NPS for the Partner Program increase by 25 points and overall sentiment and feedback from our partners has been very positive. In April 2017, we launched Inside the Salesforce Ecosystem - a Medium blog to learn customer and business success insights - by Salesforce AppExchange, Salesforce Ventures, and Salesforce Consulting Partners - straight from leaders in the Salesforce ecosystem that has thousands of views and over 500 subscribers. In August 2017, AppExchange achieved the 5M install milestone and we celebrated the milestone with the launch of the new AppExchange marketplace to customers that showcased 4,000+ solutions and expanded the visibility for all partner apps on the AppExchange to the Salesforce community of customers, partners and developers. I plan to accelerate the momentum of more ISV partners to build, connect and integrate their solutions on the Salesforce Platform and list on the AppExchange. I am focusing on industries, expanding the benefits of the AppExchange Partner Program by including new features in the AppExchange Trailblazer Scorecard, and driving greater impact of AppExchange apps and solutions to our entire Salesforce ecosystem for joint customer success. Salesforce Leadership Award in June 2017 for outstanding leadership awarded by Parker Harris, Co-Founder, Salesforce and Alex Dayon, EVP, Products. I admire my friend, manager and colleague Leyla Seka. Leyla is executive vice president of the Salesforce AppExchange, the world's largest and longest-running business apps marketplace. She is loud, fearless and bold and has made a huge impact on our work environment for equality - starting with equal pay for equal work. Leyla's passion every day is inspirational for all of us women to take risks and strive to be the leaders for a better workplace and high growth company for the future. 1. Be yourself, be authentic and value yourself but don't take yourself too seriously. 2. Build good and healthy relationships with everyone. It's an incredible opportunity for your future no matter what you do. 3. Be a seeker and never stop learning to deliver magic everyday. 4. Be a master problem solver. Your ability to be an objective problem solver will help you everyday throughout your personal and work life. 5. Enjoy the journey and celebrate it. The journey can be daunting at times but learning to move forward with a positive attitude will make everyday an enjoyable one. I am in the process of becoming a Salesforce Trailhead Ranger with a focus on developer and admin skills. Trailhead is our gamified, online learning platform that empowers everyone to learn about Salesforce, earn badges, and connect with our Salesforce community. The Happiness of Pursuit by Chris Guillebeau because it challenges you to take control - to make your life about something while remaining clear on the commitment. It's both inspirational and aspirational. I liked that it's a playbook to making each day in your life count.